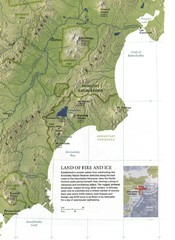 Shaded relief map of the Kamchatka Peninsula. 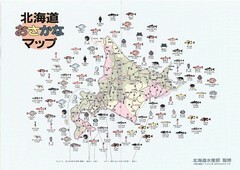 from raipon.org: "Kamchatka Peninsula is located north-east of Asia. On the west it borders the Okhotsk Sea, and on the east it is bordered by the Pacific Ocean and the Bering Sea. 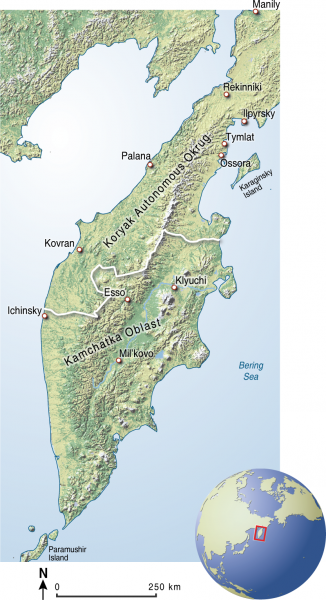 The area of Kamchatka is about 370,000 sq. km. The peninsula is joined to the continent by narrow (up to 100 km) isthmus. Kamchatka has two Russian Federation administrative regions: Kamchtaka Oblast in the southern part of the peninsula and Koryak Autonomous Okrug in the north. It is the homeland of three groups of indigenous peoples: the Itelmen (1,500 people), the Koryak (10,000 people) and the Even (1,000 people). Their main activities include: river fishing, marine trapping, hunting, reindeer herding and the gathering of wild plants. 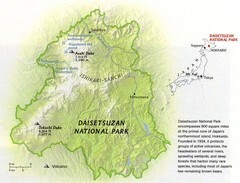 Kamchatka has protected areas that are included in UNESCO's World Heritage List."